I am so sad today. Why? 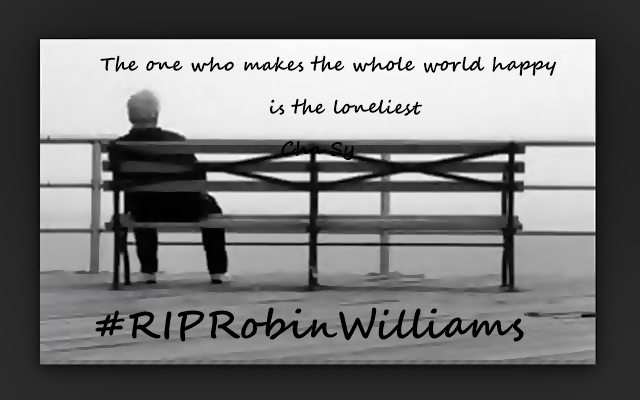 Because I learned that my favorite established comedian Robin McLaurin Williams died at age 63 on August 11, 2014. He's a very successful American actor, voice actor, and stand-up comedian. Who would have thought that behind all the glamour, riches and fame is a scarred soul. He was suspected to have committed suicide by asphyxia after a long battle with depression. But a comprehensive investigation must be completed before a final determination is made. Update! 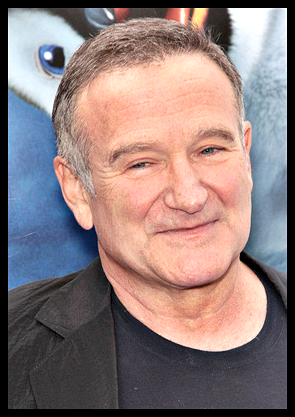 Robin Williams, who had been undergoing treatment for depression, died of asphyxiation after he hanged himself with a belt. Authorities declined to elaborate whether a note was found or there were indications of drug or alcohol use. The final cause of death will be determined in about two to six weeks after toxicology results are released. But, why would we focus on his death when we could paid a tribute to the comic genius, right? One of the most notable roles he had is when he played as Daniel Hillard/Mrs. Doubtfire in Mrs. Doubtfire. In Mrs. Doubtfire, Williams played a man willing to go to any lengths to be with his family, including masquerading as a buxom nanny in the hopes of winning his wife back from Pierce Brosnan. A part that campy could have sunk many actors’ careers, but it just cemented America’s love for Williams. A sequel was planned for 2015. He rose into fame with his role as the alien Mork in the TV series Mork & Mindy, Dead Poet Society, Hook, Genie in Aladdin, Dr. Sean Maguire in Good Will Hunting and many other roles. Thank you for making us laugh and cry with you. Thank you. God bless you! For free, anonymous and confidential telephone counseling that is non-sectarian and non-judgmental, call Crisis Line at 893-7606 or 893-7603, Monday to Friday from 9 a.m. to 9 p.m. There is help at the end of the line.